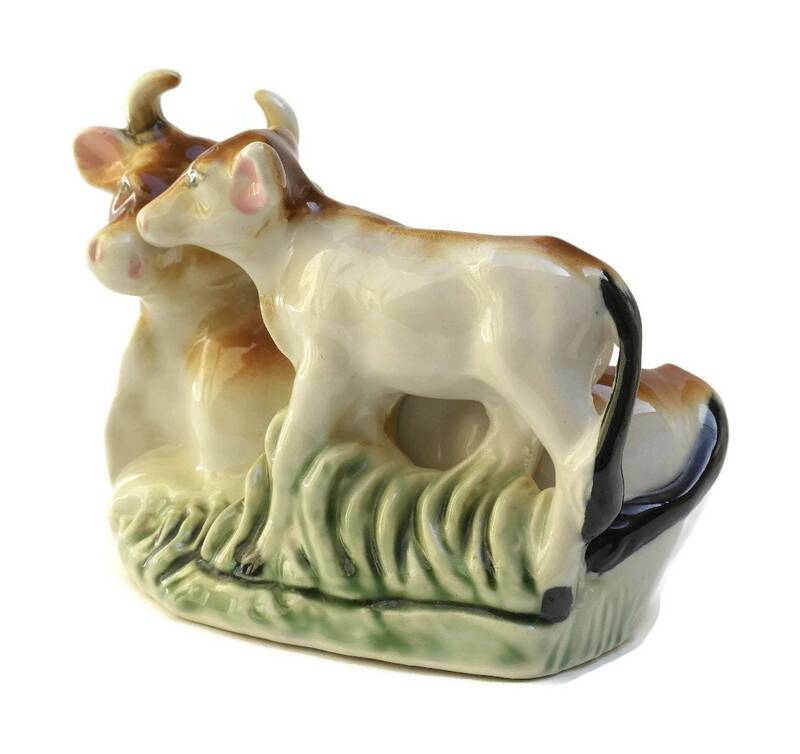 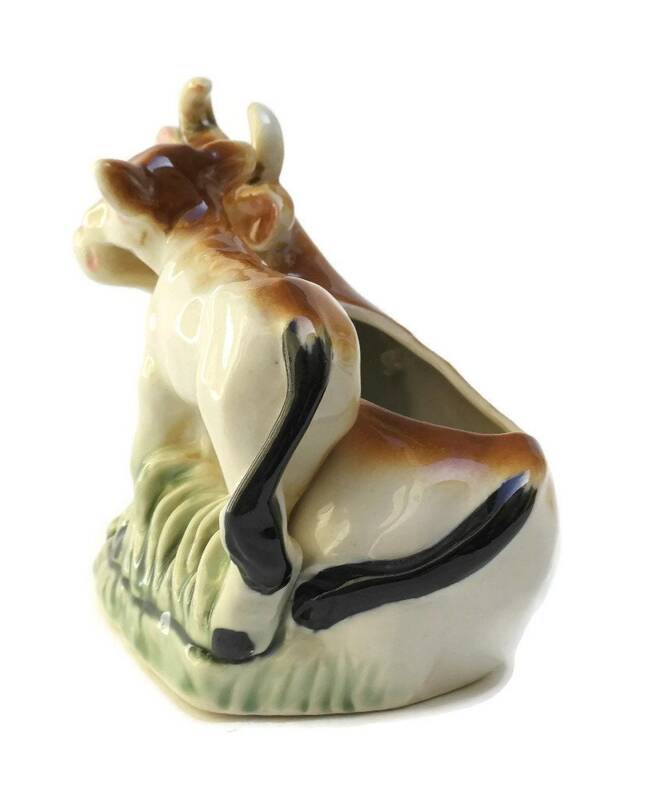 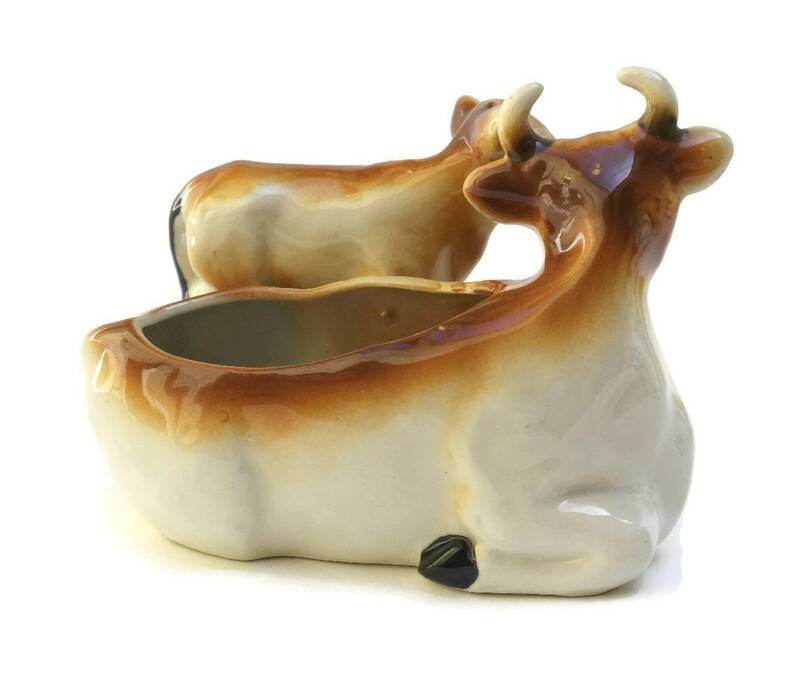 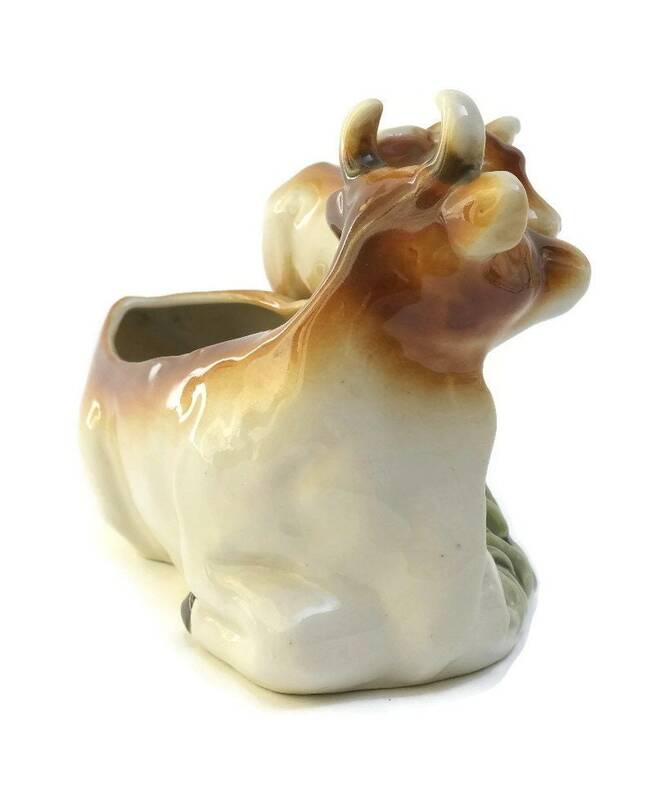 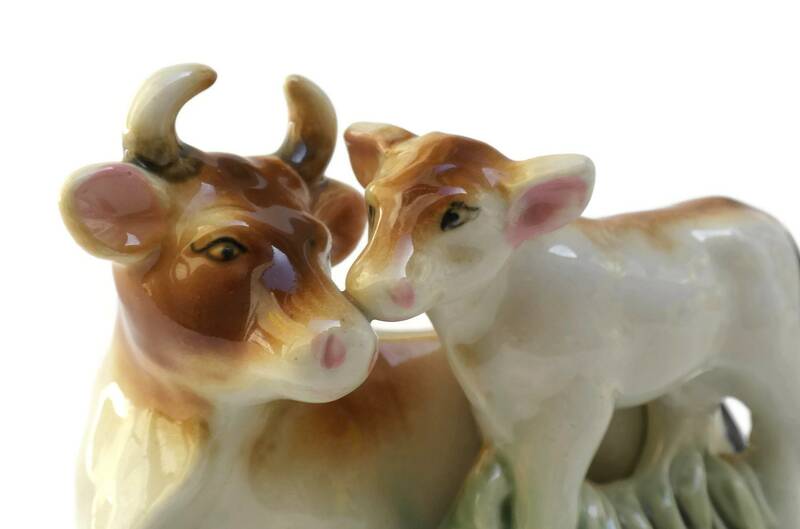 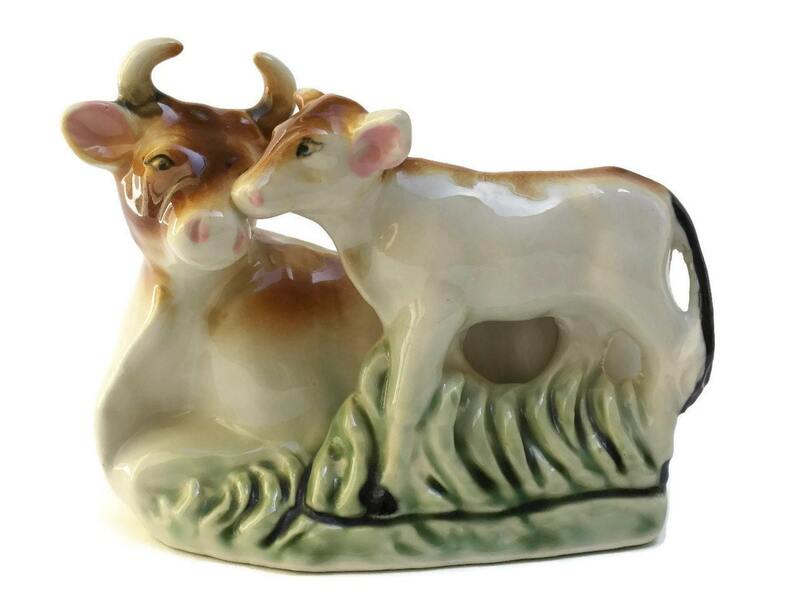 An adorable vintage ceramic vase with a cow and her calf. 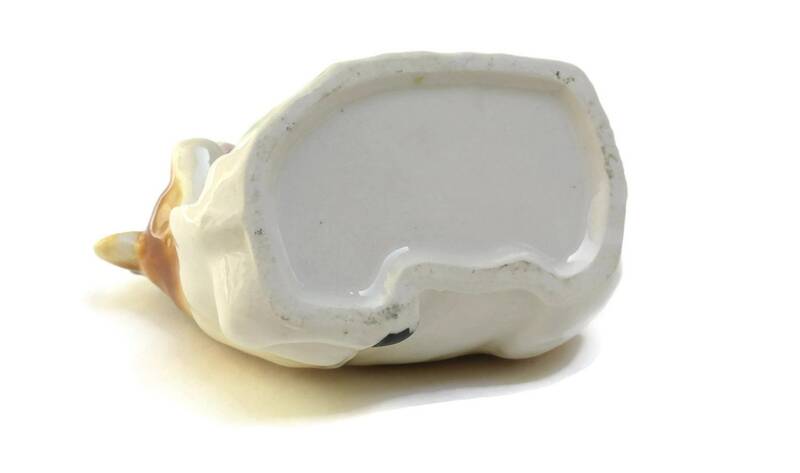 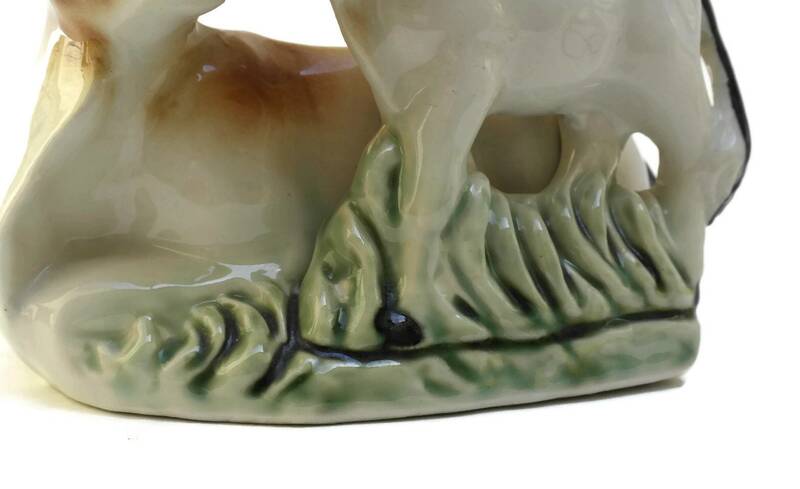 It has been made from pottery and glazed in warm shades pf brown with green accents. 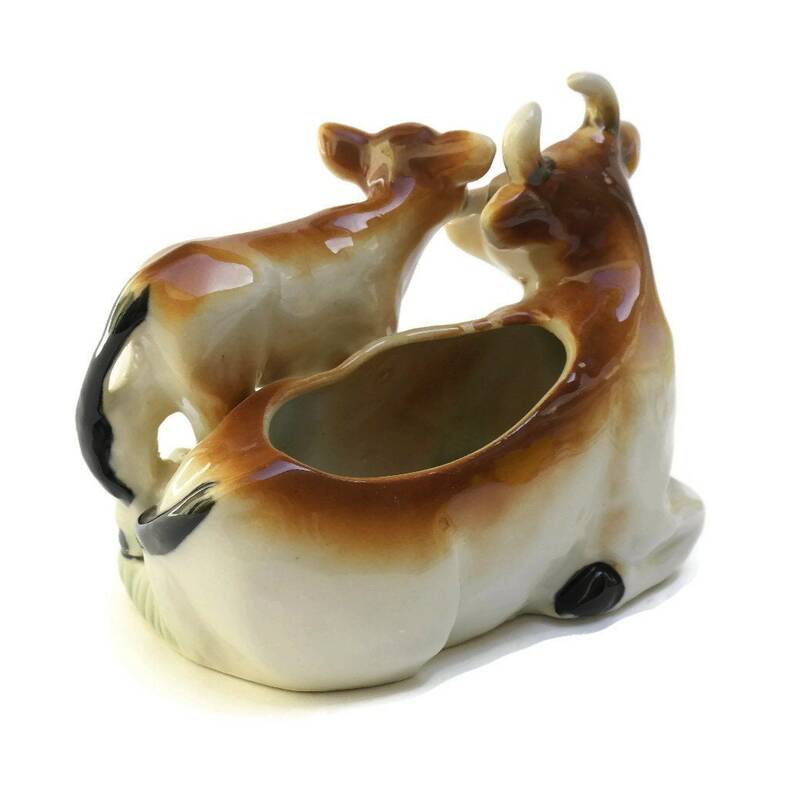 The planter will add a charming touch to a rustic kitchen decor. 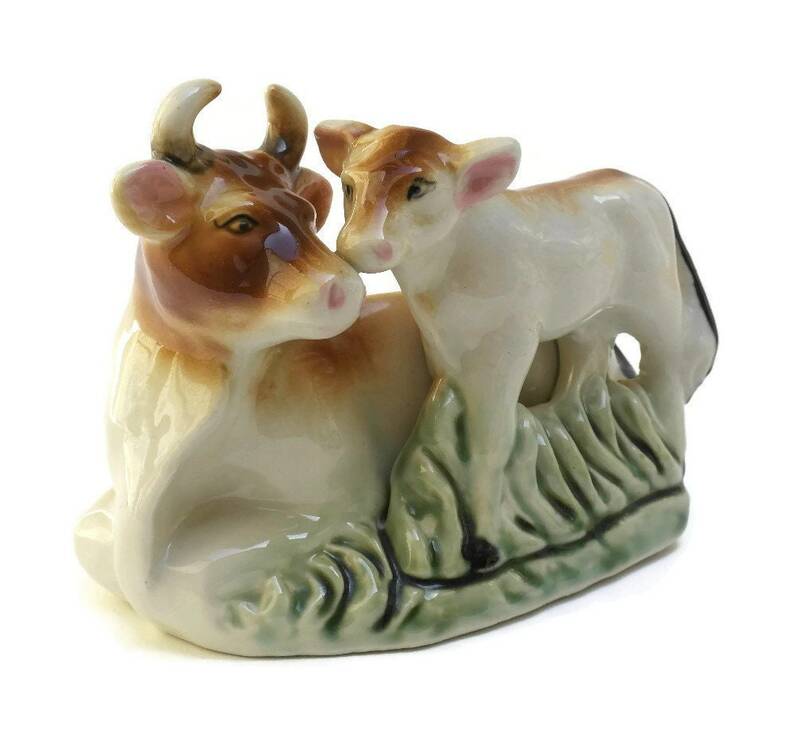 The cow and calf figure vase is in very good vintage condition.